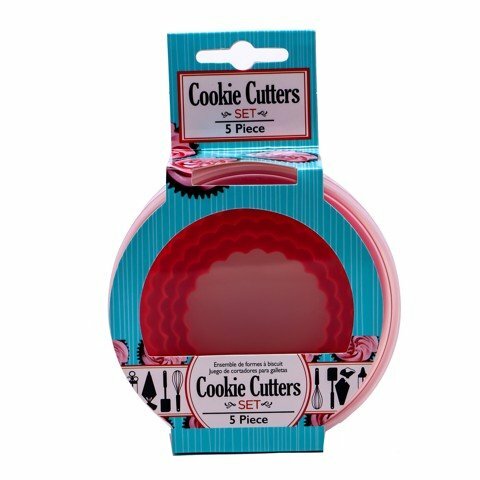 Cookie Cutters In Container 5Pc. Assorted. Red. PP Plastic. 105G Packaging: Hang Sell Plastic Container with Colour Card.